Disney villains are my wife's favorite, and Maleficent is one of the best. 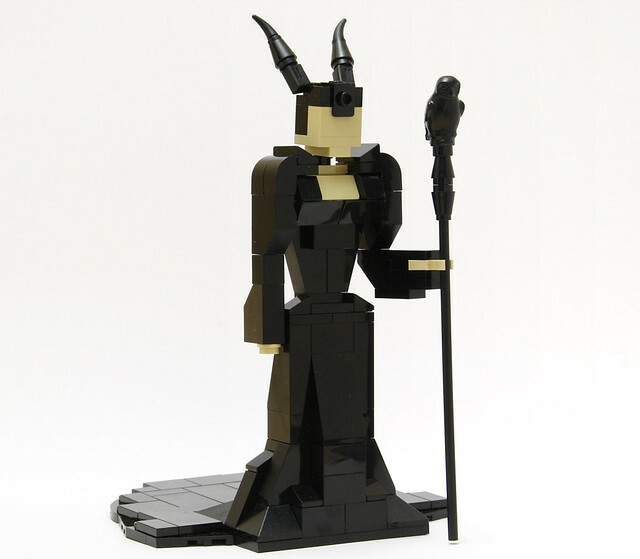 This simple but super effective figure by legorobo:waka captures her essence perfectly. The horns are particularly effective, with clever use of the mini machine guns to get the compound angles.